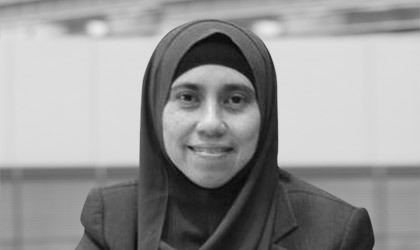 Miti Nurbaya Zainudin brings with her over 27 years of experience in the corporate world. She was formerly the Vice President in Halal Development Corporation, a company under the Ministry of International Trade and Industry and she also served the Multimedia Development Corporation, an MOF company under the Ministry of Science, Technology & Innovation and Dataware Sdn Bhd, a subsidiary of Renong Group. She is currently leading the Human Resources & Corporate Services function in PEMANDU. In the tenure of her role, she spearheaded the overall management of the organisations, which includes Human Resource, Finance & Accounts, Procurement, Legal and Administration. She was also closely involved in the unique public-private set-up across the organisation. Miti Nurbaya also played a key role in the establishment of new organisations related to the National Transformation Programme, such as InvestKL and Malaysian Petroleum Resources Corporation. Miti Nurbaya received her Bachelor of Commerce from The Australian National University, Australia in 1989. Miti Nurbaya played a key role in the establishment of new organisations related to the National Transformation Programme, such as InvestKL and Malaysian Petroleum Resources Corporation.